When YouTube’s biggest star swore that he was going to delete his channel after gaining 50 million subscribers, fans didn’t know what to believe. Some thought he was really going through with it, and prepared for the worst. Today, Felix Kjellberg comes clean, revealing that it was just a joke all along. “You know when you make a joke, and it just blows up way bigger than you ever imagined?” Kjellberg asked. “That was it, that was the joke,” Kjellberg said, before mocking all the news sites that picked up the story without skepticism. Fans seem relieved—as we originally reported, some legitimately didn’t know if Kjellberg was being serious. Some even downloaded Kjellberg’s videos en-mass, out of fear that the footage would be lost forever. And really, you can’t blame them. Kjellberg seemed serious at the end of the original announcement video, and he kept the joke going on social media as well. For everyone else, though, this may be Kjellberg’s funniest stunt to date. He’s keeping it going, too. “Will delete Pewdiepie at 100 million,” the video says at the end. Hopefully nobody falls for it this time? 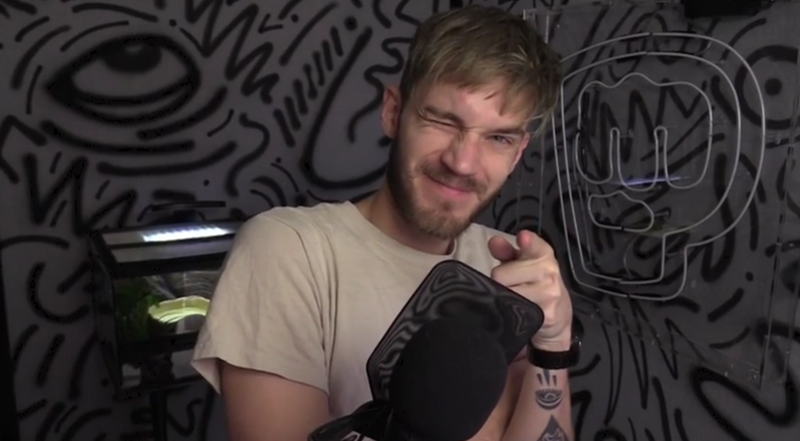 Thanks to Kjellberg’s scheme, he is the first person on YouTube to reach 50 million subscribers. The second biggest channel, HolaSoyGerman, has 30 million—putting Kjellberg well ahead of the competition.